With this photo booth add-on, we’ll send you an exceptional piece of art created from the photos taken in your photo booth rental! Pick your size ranging from 11” x 17” to 22’ x 28”, and we’ll take care of the rest! 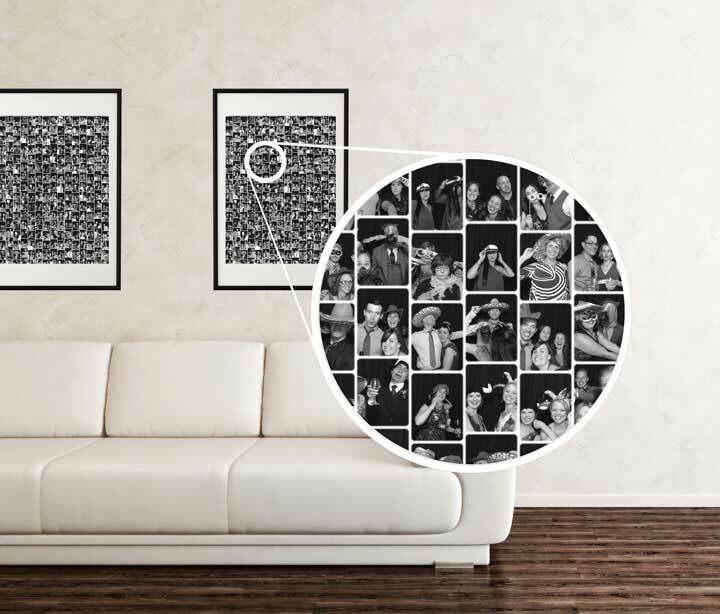 Our photo booth collage will be the perfect accent piece to any decor. A true work of art specifically tailored for you! Poster only. Frame not Included.